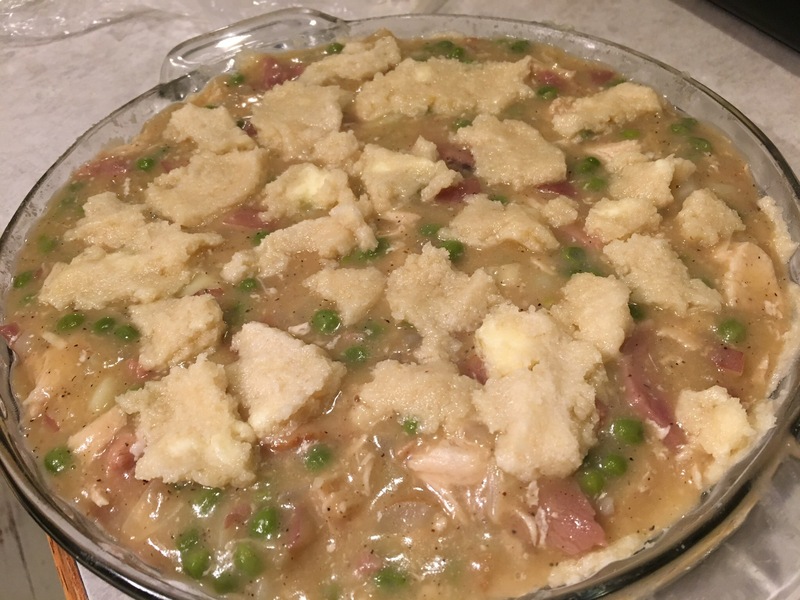 I have never been a pot pie person….but this Paleo recipe got me hooked! It’s one of my favorites now. It’s great because it’s grain free, uses bone broth (need that everyday), and gets in veggies. It tastes like buttery, flaky, biscuit dough on top….which is incredible. So try it! You won’t regret. 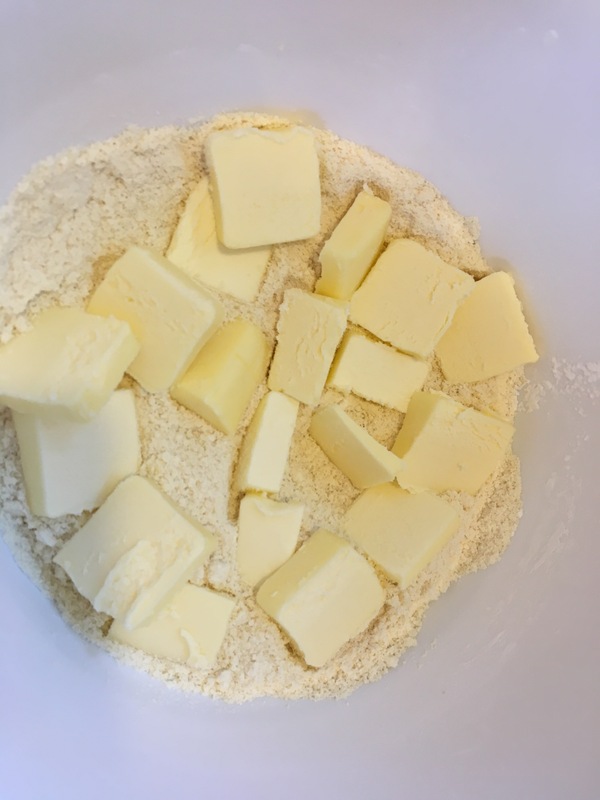 Start with your flours and butter. It’s just like cutting in a traditional wheat biscuit dough or crust. You just use grain free ingredients. Chop, cook, and prepare the pie pan for the filling. Using a fork, stir together the almond flour, tapioca flour, salt and baking powder. Cut in the palm shortening until the mixture resembles course sand. 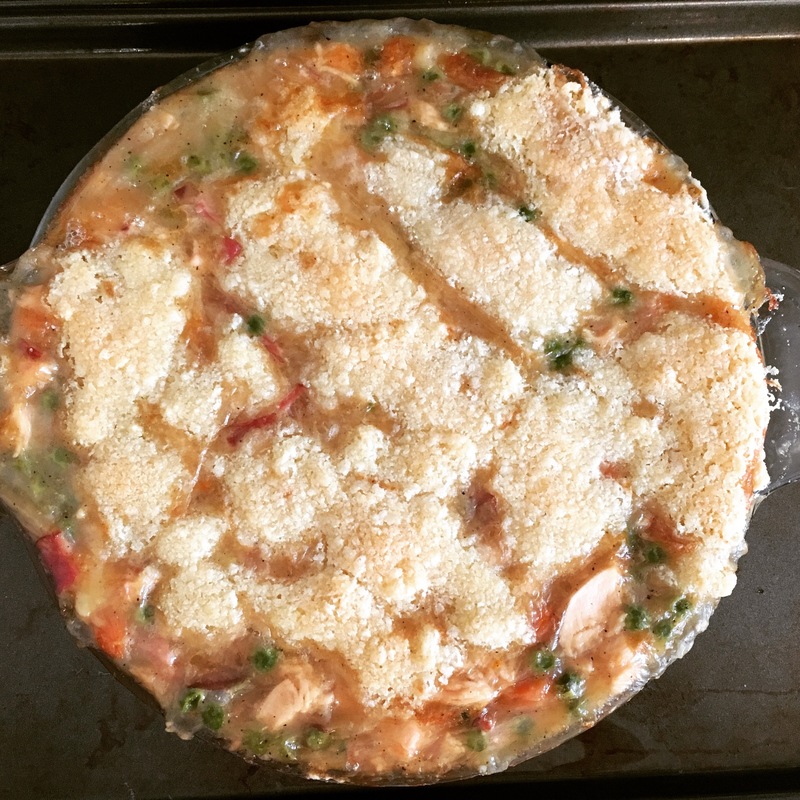 Place in refrigerator while you prepare the filling. In a saucepan, combine the chicken, carrots, potatoes, and broccoli. Cover with water and boil until chicken is done and potatoes are tender, about 10-15 minutes. Drain and set aside. In another saucepan over medium heat, cook onions in butter until tender. Stir in tapioca flour, salt, pepper and paprika. Slowly stir in chicken broth and almond milk. Simmer over medium-low heat until thickened like gravy. Remove from heat and set aside. Check on your crust–if it’s chilled completely, it’s ready. If it’s still a bit sticky and not cold, wait another 15-20 minutes. Note: The crust dough MUST be cold in order for it not to stick! 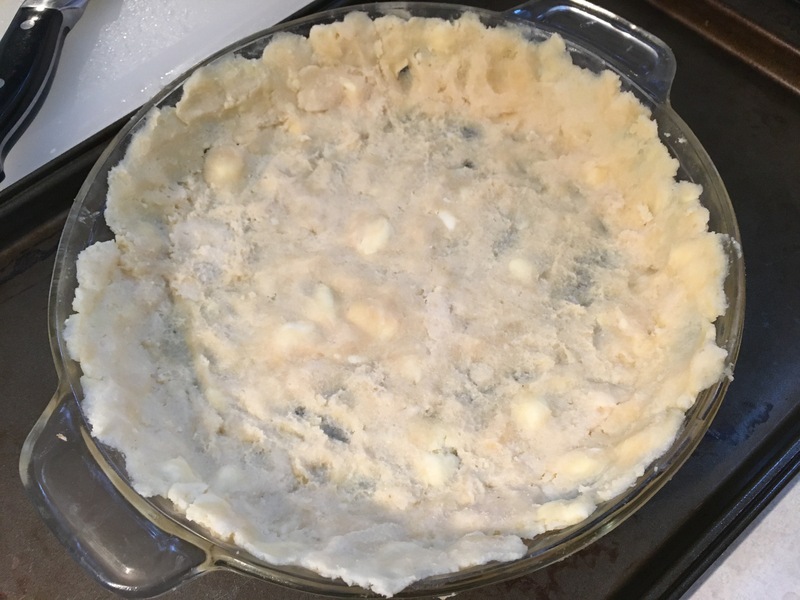 Divide the dough in half and place 1/2 in a 9-inch pie plate, and put the other 1/2 back in the fridge. Use your fingers to pull off chunks and flatten in pan, spread the dough crust to the sides. 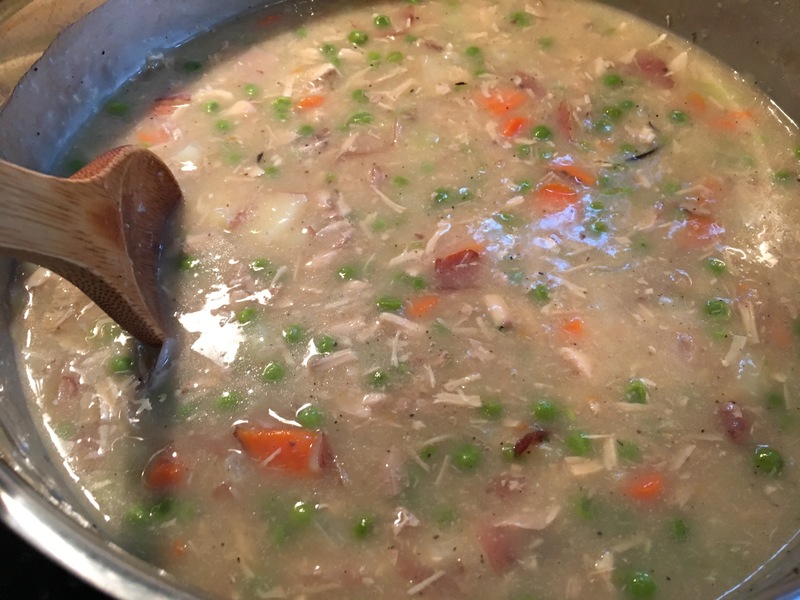 Stir together the chicken mixture and butter mixture, then pour into crust. Take the other 1/2 of your crust out of the fridge and place between 2 pieces of parchment paper. Use a rolling pin to roll into a circle, then lay on top of your pie. This didn’t really work for me so I used my fingers and flattened the dough as much as possible and dropped it on top. 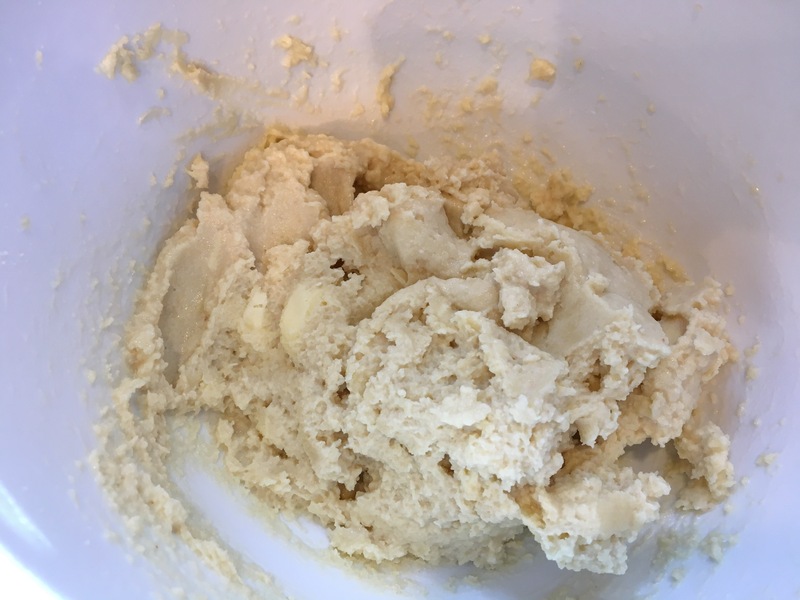 The dough cooks together so it’s fine and tastes great still ?. Note: You may need to use some more almond flour or tapioca flour for the top crust. You need to work quickly to get the top crust on. It may not be perfect looking, but it tastes amazing! Place on baking sheet (it may bubble over), and bake in oven for 30-35 minutes, until crust is golden brown.